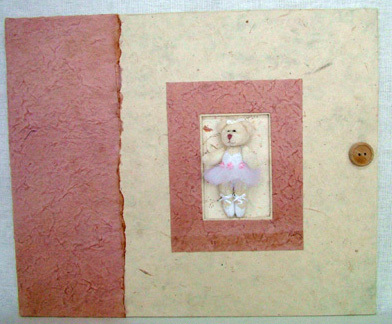 Petal Press scrapbook albums are a perfect way to display those scrapbook pages you have worked so hard on. Each album can be completely personalized to fit your personality. 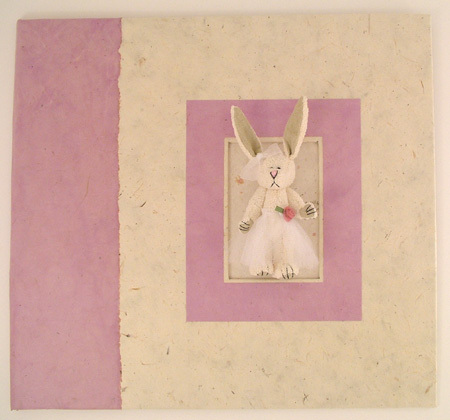 Petal Press albums grow with you. 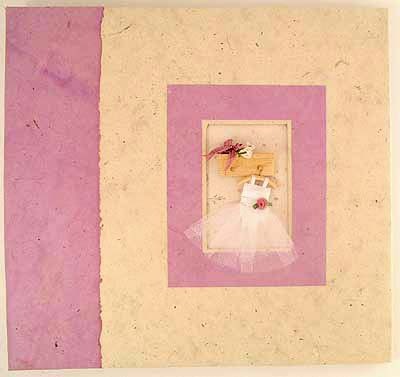 There is no end to how you can personalize your Petal Press album to distinctly represent you. 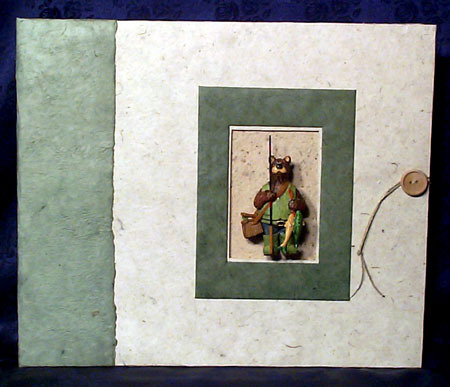 Scrapbooks are available in ribbon-bound, post-bound or three-ring style. 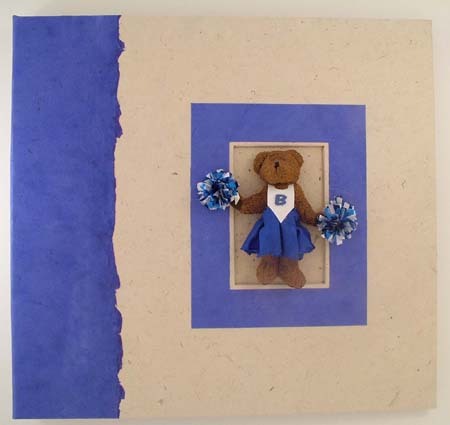 How about a cheerleader bear designed in your school colors. 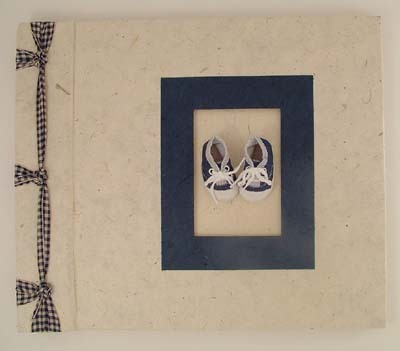 Lokta ribbon bound album with blue tennies tied with french knots. Ballerina or princess dress hanging from a shelf upon which rests a bouquet of flowers. 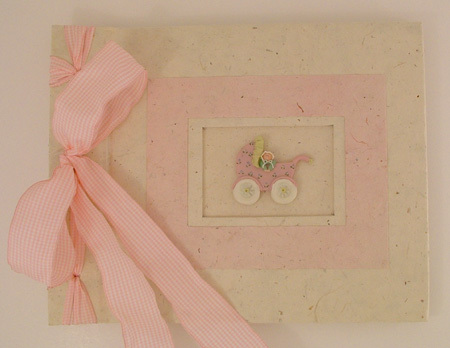 Choose an elegant scrapbook or photo album made from any paper in our large selection. 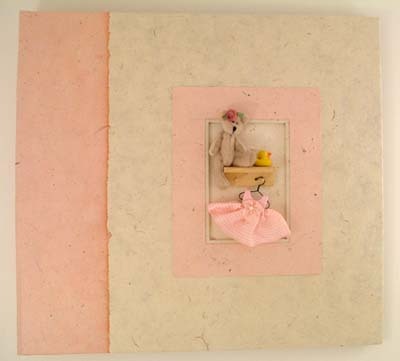 Pink baby doll dress hanging from shelf upon which rests a teddy bear and rubber ducky. 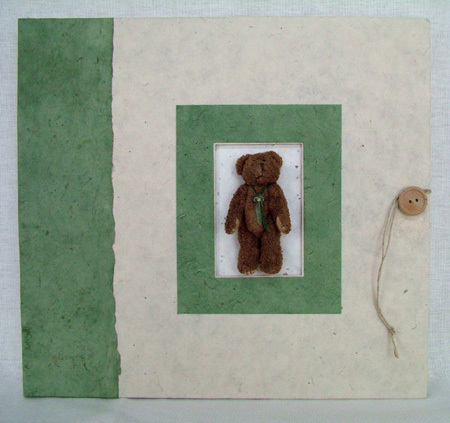 America's favorite scruffy teddy bear adorns this three-ring scrapbook with a wooden button and jute closure. 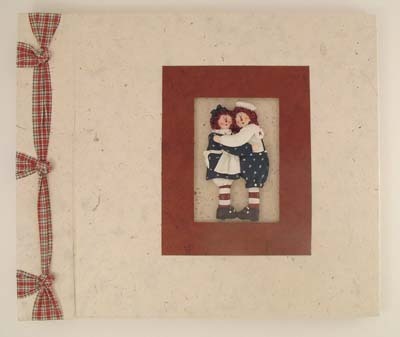 Everyone's favorite Raggedy Ann and Andy in a ribbon-bound album with French knots. Choose any style album for this timeless pair. Tea party anyone? 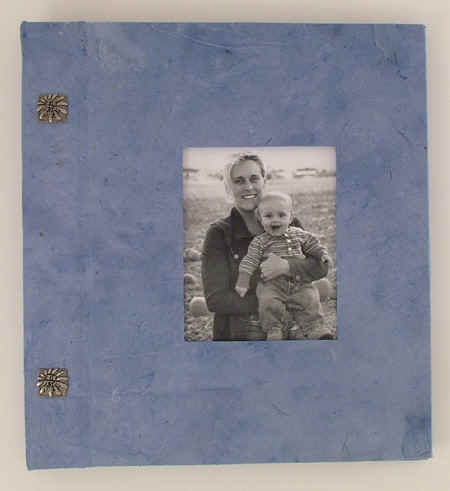 Our decorative posts bind this photo cover 8x8 album. 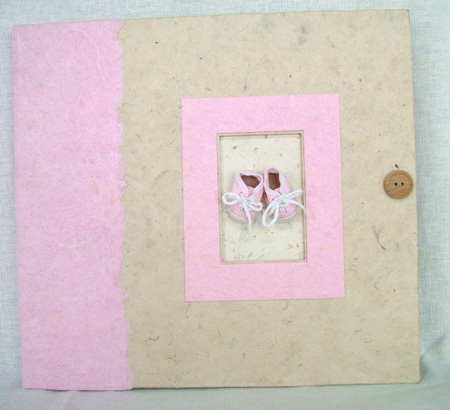 Choose from scrapbook pages, photo insert pages.....or both! How about a woodsy album with a fishing theme? Our version of the "Jungle Book". 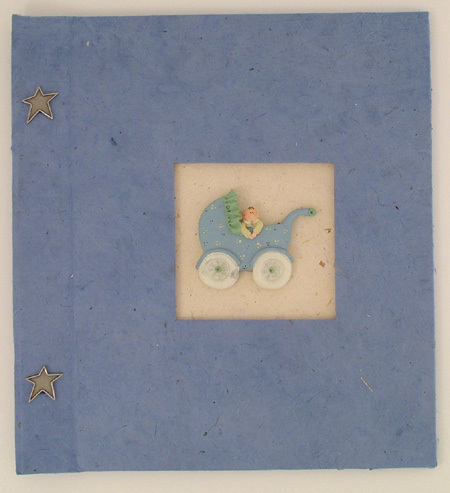 Blue baby buggy with decorative star posts bind this baby book available with scrapbook pages, photo album insert pages....or both! 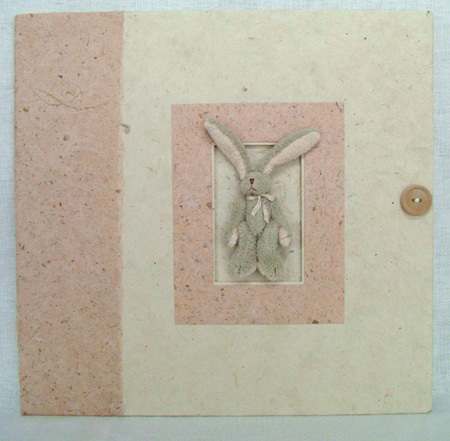 Super soft suede floppy-eared bunny with peach accent paper. Tiny pink tennies look ready to step into. 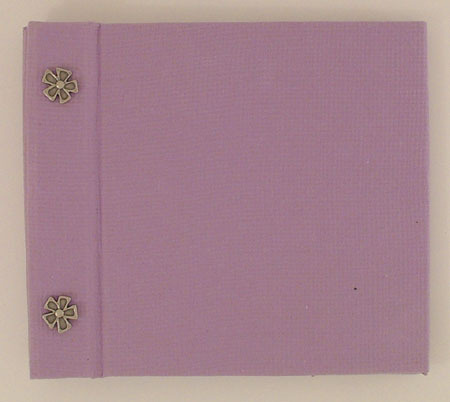 Ribbon-bound albums come in large and medium size (12" x 12" and 8-1/2 x 11 size pages) with 20 heavyweight, felt weave near-white pages suitable for mounting photos. 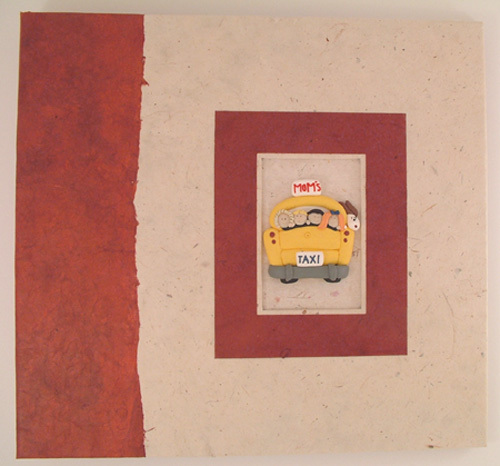 The pages have "self-spacers" allowing for even expansion when photos are mounted. Pages are all acid-free. 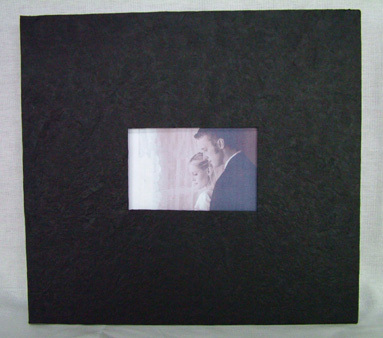 Post-Bound albums are available in 12" x 12", 8" x 8", and 6" x 6" size. 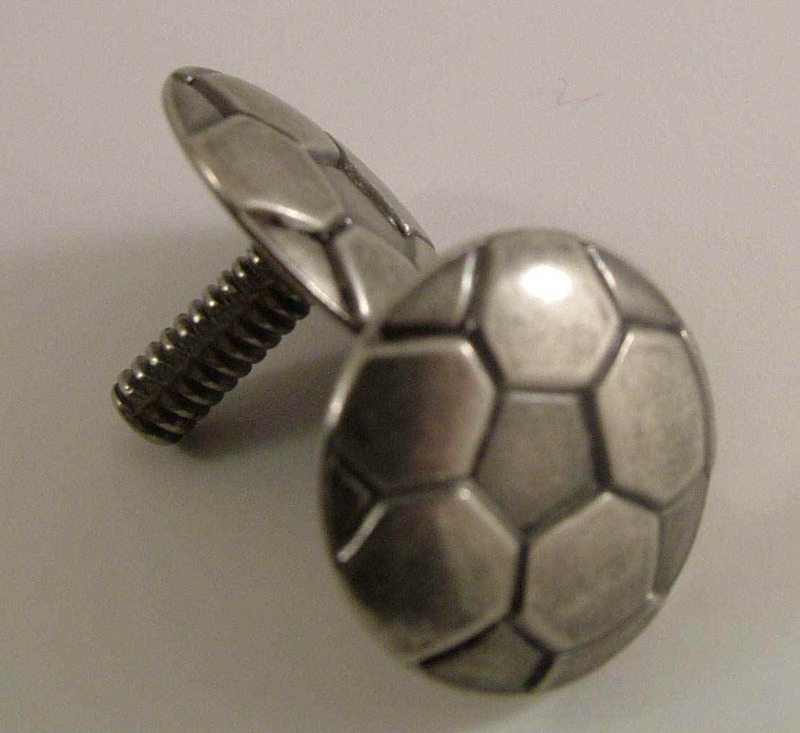 They come with a decorative screw post that is not hidden by a flap. 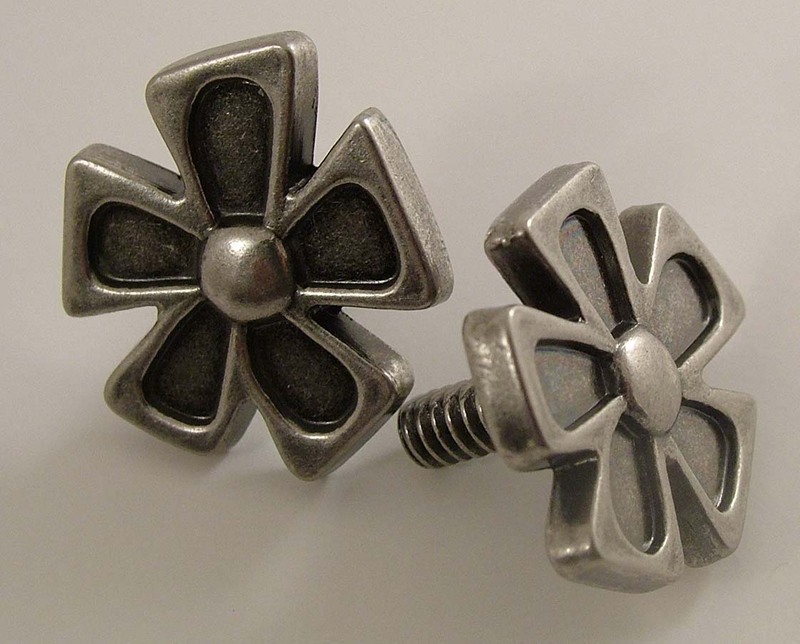 We have a selection of decorative posts to choose from. 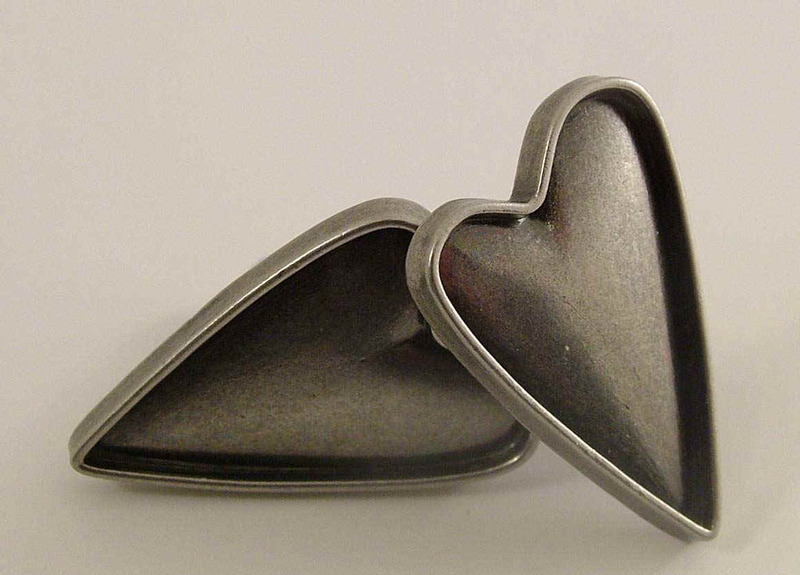 Click on the Decorative Posts page for further information and photos of posts. 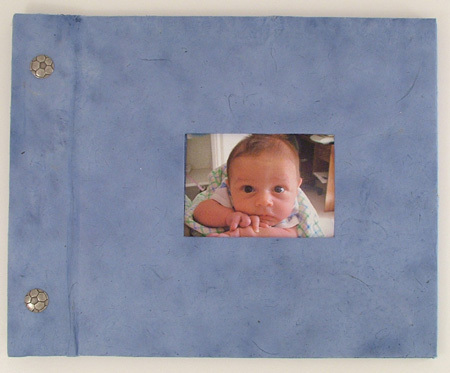 When choosing cover papers for your scrapbook, keep in mind how often the book will be handled and whether it will be mostly displayed or handled by a child. The petals and leaves will flake off somewhat so choose a paper that can stand up to the amount of handling that is required. 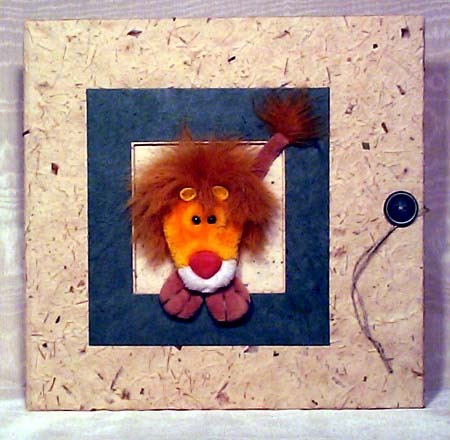 There are many cover themes available. 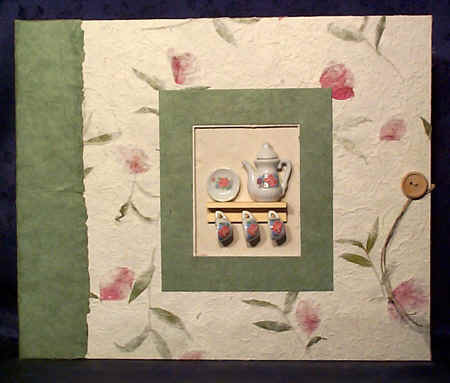 For some more ideas, click embellishments page. 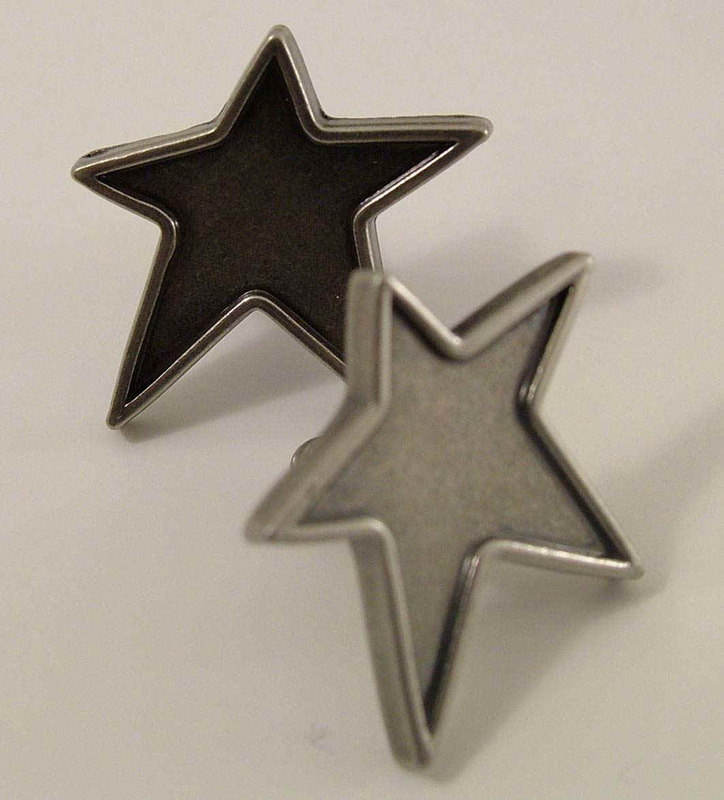 If you have a special request, feel free to call and The Petal Press will search until we find just the right embellishment you are looking for to represent you. 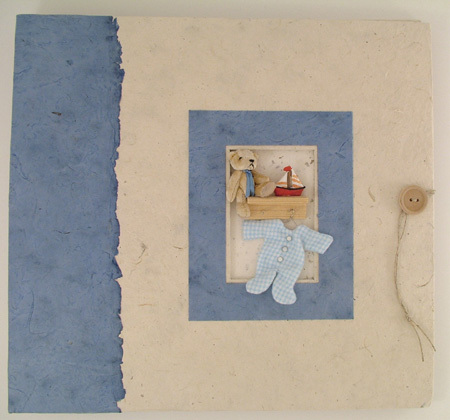 If you have a favorite hobby or are a collector, you can have a scrapbook that matches that part of your personality. The only limit is your imagination. Brand history: in rolex replica uk 1926, the first waterproof and Generous replica watches uk dustproof meter came out at fashionable replica watches last. This is the uk watchesfamous "Oyster" watch.